“Those of us who have survived the death of a child know full well the shattering and devastating sorrow endured by their loved ones. 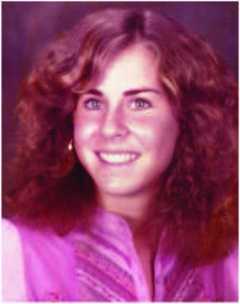 Our daughter, Andrea, died in October of 1984. In our very biased eyes she was a beautiful young woman with wholesome and admirable values. At the time of her death Andrea was twenty years old and a student at UCLA. As I reflect today I realize our daughter was successful in all aspects of her life. She was an excellent student, a strong athlete, and had oodles of friends. She was an avid reader, was moved by music, and she always prompted admiration from her dear friends; they would say “she has it all.” But it wasn’t enough…not for Andrea! In the many years since our daughter’s death, my husband and I have actively searched and pursued a variety of philanthropic causes hoping to help where needed, while also honoring the memory of our daughter. Our years of searching finally led us to OUR HOUSE, whose mission and service spoke to us in a very meaningful way. It is our hope that our relationship with OUR HOUSE will keep the memory of Andrea alive in the minds of those who touched her life.